IFTTT is a powerful automation tool that can link together many of the popular services we all use every day. The possibilities are almost endless with a bit of imagination. The platform has had a bunch of Facebook applets for some time, but the same couldn't be said for Facebook Messenger, until now. There's certainly an audience out there for Messenger related applets, as this Reddit post proves. 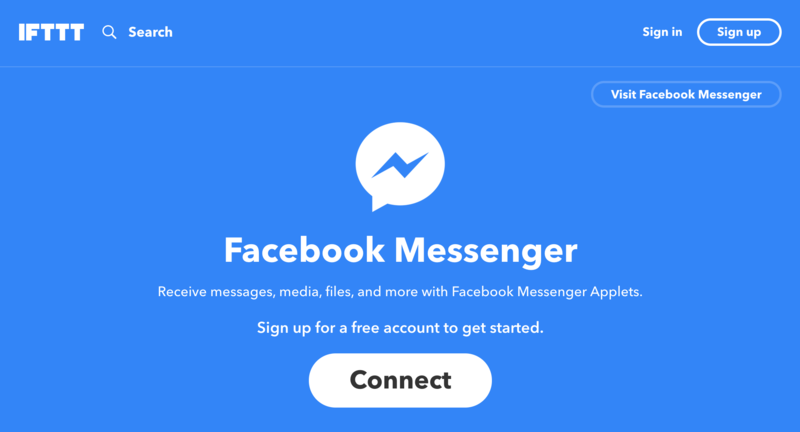 A Facebook Messenger page on the IFTTT site has now been put together that offers exactly that. Applets include sending messages to Messenger from the Google Assistant, getting forecasts via Weather Underground, and sending your Instagram posts to Messenger for easy sharing, plus many more. You can even use the IFTTT bot on Messenger to remind you to do something as simple as drink a glass of water each hour. There are 18 different applets showcased, but with the four available actions you should be able to dream up some interesting new ones using triggers from other apps. Happy IFTTTing.